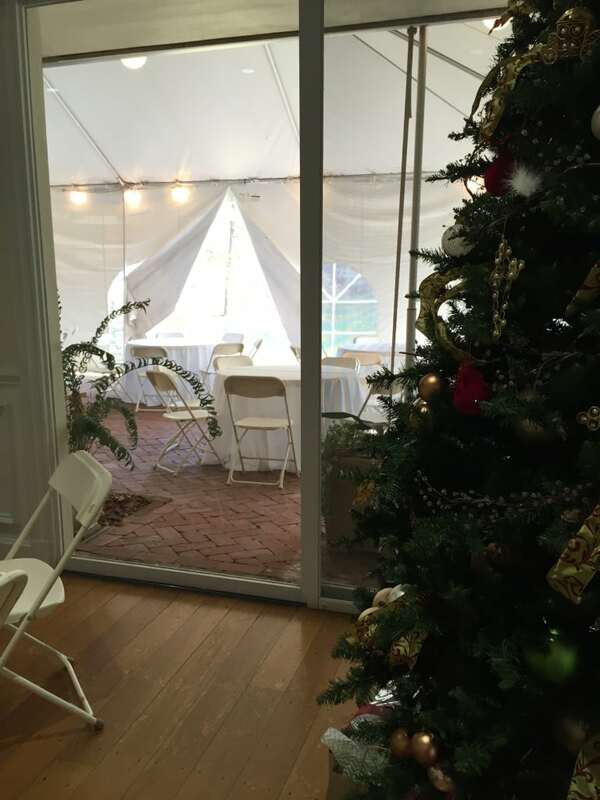 Thanksgiving is behind us and we are kicking off our Holiday parties with Iz Catering. They are extra busy this week and we are always happy to help them, especially when we are working at Aldridge Gardens. 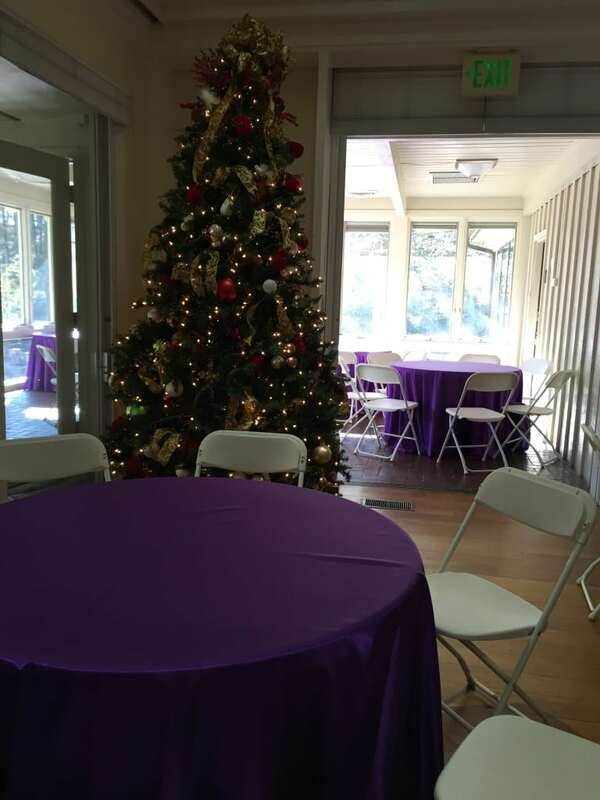 The Main House – Art Gallery is a great location for smaller gatherings like holiday parties, corporate meetings, family gatherings, art shows and winter weddings. 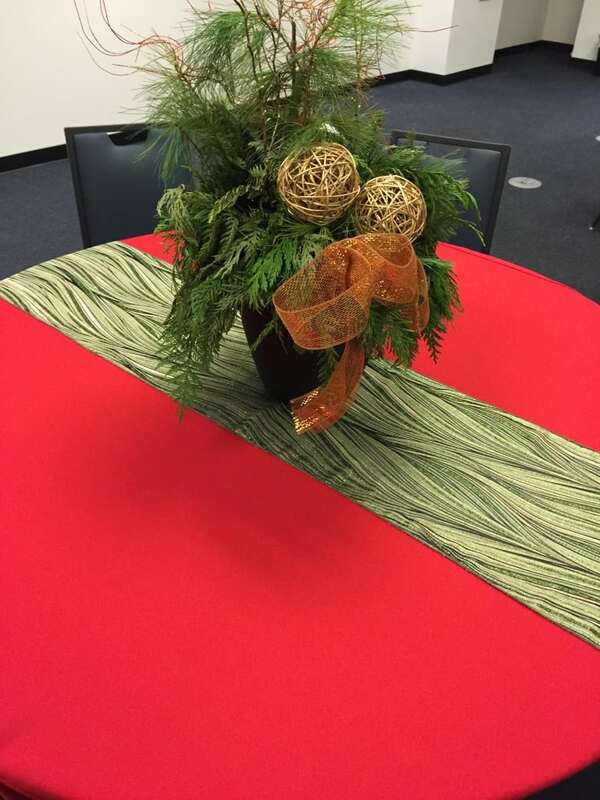 We’ve also helped with several holiday parties at Workplay over the next few weeks. 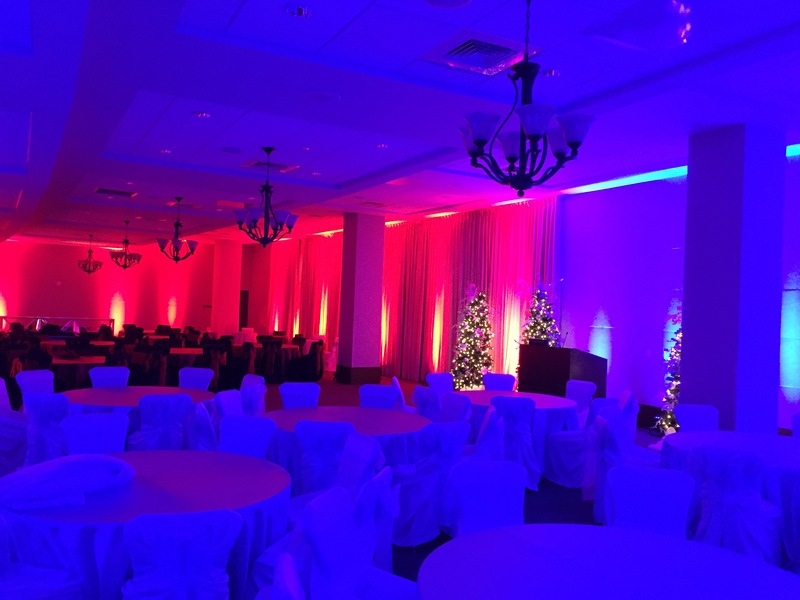 They offer several unique spaces perfect for any size party. 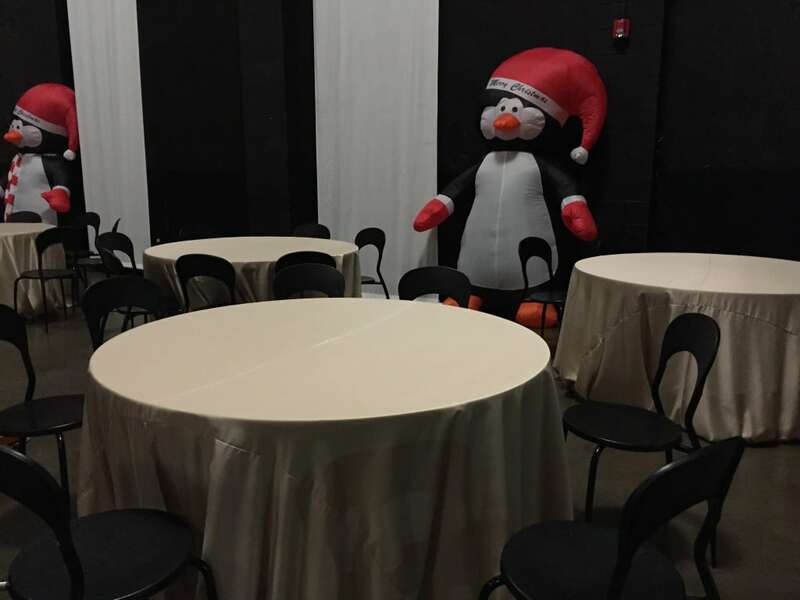 How much fun would it be for your company to host a holiday party at such a unique venue? The pengiuns added a little extra character to this party! 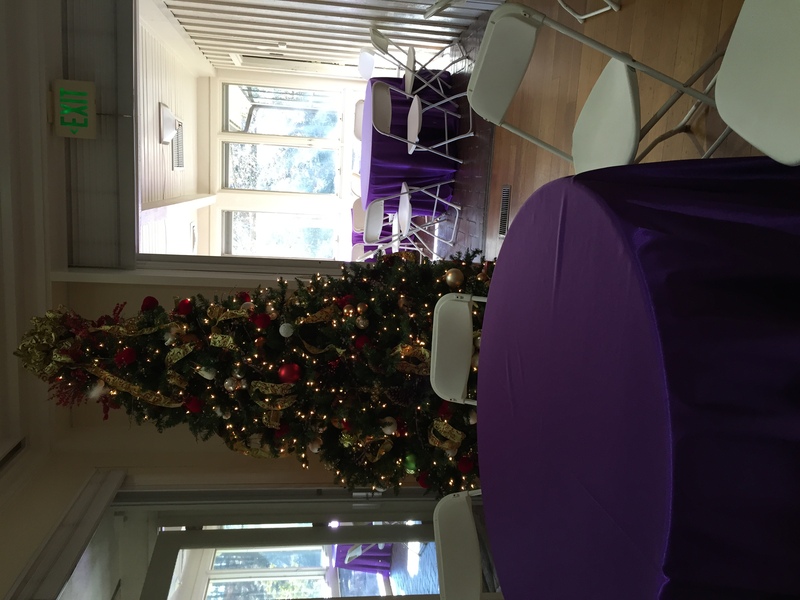 Vulcan Park is another great choice for holiday parties! This season we assisted Iz Catering with events for Fox 6 and the AL Region Porsche Club, among others. 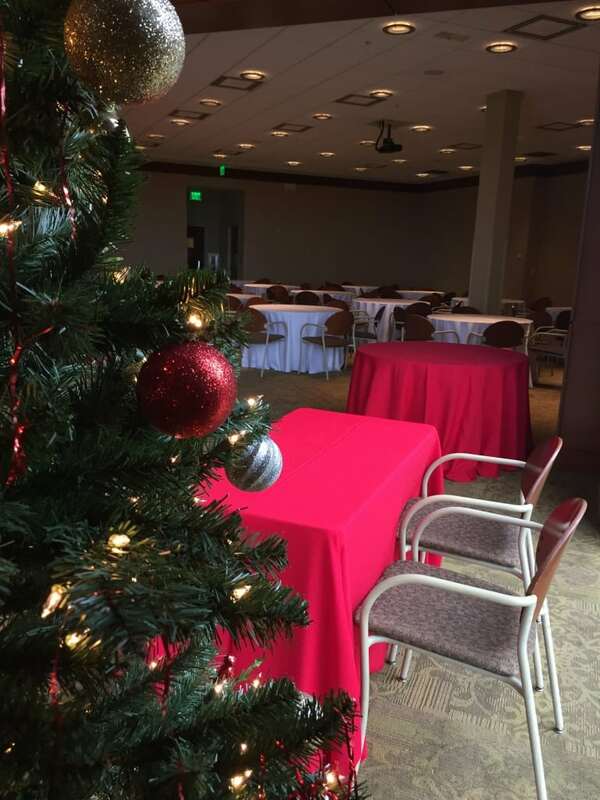 Cafe Dupont hosted Dr. Ozbirn’s office Christmas party this year! 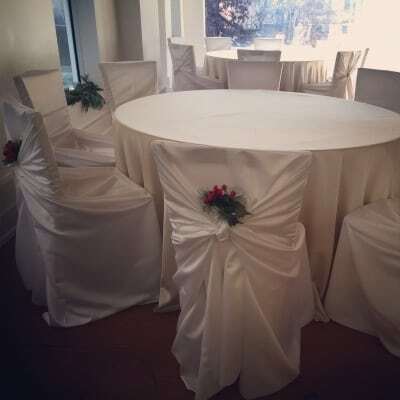 Mrs. Ozbirn added her own a personal touch to our white chairs covers. The Birmingham Airport recently added on an event space to the Departures Level. 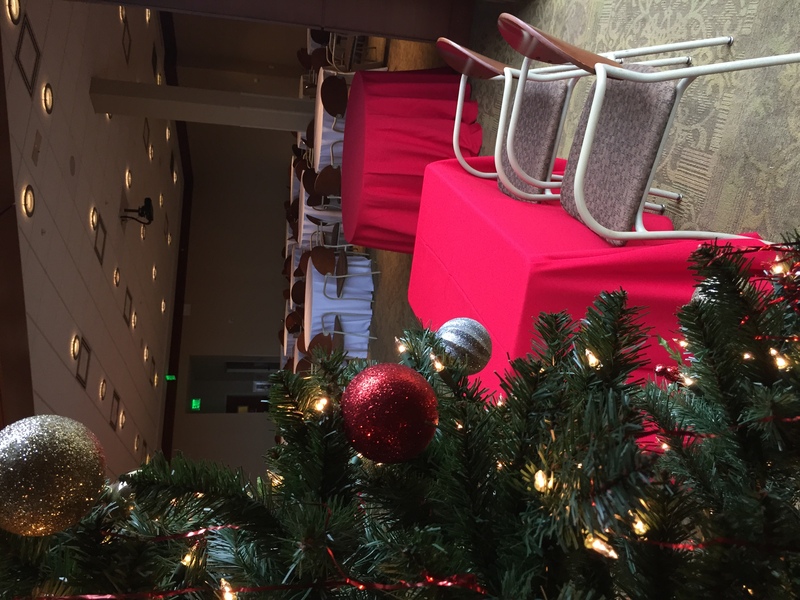 They have hosted several events there recently, including this holiday Managers Meeting. And their annual Christmas Party. This year the them was Fire and Ice!